Editors serve 2 year-terms by default. There is no limit on the number of successive terms an editor can serve and resignation at any point is possible. Withdrawing editors are expected to finish handling the submissions assigned to them. If this is not possible, another competent editor will take over. When necessary (for example if the terms of several editors end at the same time), renewal of editors will be phased to ensure continuity in the editorial board. The approval of editors is in the hands of the steering board. 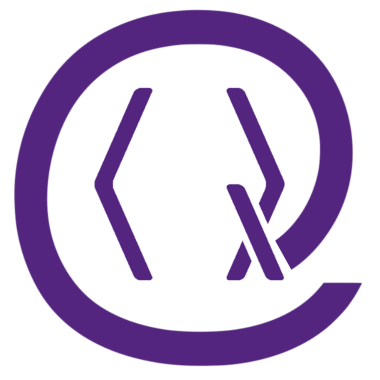 Quantum will hold open calls for editors whenever needed. In addition, the steering board may appoint new editors at any time. The editorial board of Quantum consists of Editors and Coordinating Editors. The main role of the latter is the selection of appropriate Editors for incoming submissions, but they can also handle submissions themselves, and they are the first port of conflict resolution. The editorial board should be broad enough to cover the main subfields of quant-ph. Ideally, editors should only handle submissions in their fields of expertise. If lack of expertise in one field, or overworking of editors in a particular field become evident, the steering board may be asked to suggest additional editors. See the current Editors of Quantum here. Upon joining the editorial board, editors are required to declare any interests — financial or otherwise — that might influence, or be perceived to influence, their editorial practices. Further, editors are expected to declare conflicts of interest regarding individual submissions by excluding themselves from the editorial and peer-review process of these submissions in the online system (see below). Editors can be discharged in case of negligence, action contrary to the spirit of Quantum, or failure to declare conflicts of interest. The final decision is in the hands of the steering board. A necessary condition for consideration is that the submitted version of the manuscript has appeared in the quant-ph section of the arXiv. Apart from that, Quantum has a broad scope, covering all aspects of quantum science and related fields. This includes (but is not limited to) atomic and molecular physics, condensed matter physics, foundations, quantum information and computation, quantum optics, and quantum thermodynamics (in alphabetic order). Quantum publishes theoretical, numerical, and experimental works, both original research and review articles. Quantum also welcomes submissions that are more rooted in adjacent fields such as mathematics, computer science, (software) engineering, or philosophy, as long as the manuscript makes clear why the work is of interest for researchers in the quantum sciences and Quantum has an Editor competent in the respective area. Correct research that incrementally improves a limited technique is below threshold. For original research, either a very significant technical or conceptual contribution or a nice combination of both is necessary for acceptance in Quantum. Literature reviews must be unbiased, comprehensive, and timely to be considered. Editorial rejection without peer-review is possible. It should happen only on scientific grounds (as described above), in case of insufficient quality of presentation or when the submission clearly falls outside the scope of Quantum. A short justification will be required. External pressure by the authors on editors or referees outside the due editorial process may also result in editorial rejection. Impact: The expected impact (number of citations within the first two years after publication) is not a criterion for acceptance. Quantum does not aim for a pre-set number of published papers per year and there is no target rejection rate. The quality of every paper is evaluated independently of other submissions. Coordinating Editors pick Editors for incoming submissions with the aim of ensuring that every submission is handled by a knowledgeable editor. If an assigned editor declares a conflict of interest, cannot handle the submission in a timely manner, or does not believe they are sufficiently knowledgeable in the field of the submission, they may pass it on to another editor. Quantum provides an efficient online system that makes it easy for editors to carry out their work efficiently. The system include pre-written template texts for author communication and collects all relevant information about the review-process in one place. All submissions, referee reports, and decisions are visible to all editors, except those who have themselves declared a conflict of interest or have been excluded from a given evaluation process because of such a conflict of interest by other editors. We believe that this will make the evaluation process more transparent and fair. Authors will know which editor is assigned to the submission. Editors and referees should declare whether there exists a potential conflict of interest regarding a particular submission, and, if appropriate, exclude themselves from handling that submission. Reasons for conflict of interests include: close collaboration with the author(s), personal relations with the authors, concurrent competitive research, same institution, and financial co-dependence. As a guideline, editors should not have joint papers with the submitting authors in the previous four years, and referees should not have joint papers with the submitting authors in the previous two years, if possible. Referees are not expected to read through pages of complicated guidelines for refereeing. In order to obtain fair, meaningful, comparable, and maximally objective reports that focus on estimating the scientific quality of a submission, referees will be asked specific questions. See the full guidelines for referees. Referees will be asked whether they think the work deserves further coverage and whether they would be willing to write a viewpoint. The final decision lies with the editor. Authors are encouraged to suggest referees for their submission, and to indicate referees to avoid. Suggestions are just that, and the editor has total freedom to invite referees. Editors invite referees via the online system provided by Quantum. There is a pre-written invitation message, which editors may personalize. The invitation should indicate clearly: paper to review, assigned editor, refereeing process and proposed timeline for acceptance of the invitation and for the report. Referees accept or reject to review through the online system. Editors may insist once in case of no reply, and after that assume a rejection. Quantum does not impose any strict deadlines on authors or referees. We believe that authors that seriously want to get their work published will re-submit their works as fast as possible and we think it is crucial to give referees the time they need to evaluate a work. In the initial referral, referees will usually be asked to submit their review within a month and are encouraged to inform the editor if they predict it will take longer. Should the referee accept to review the submission, they will receive an automatic reminder every two weeks. If no report is submitted in the given time, the editor will get back to the referee to confirm their willingness to write a report. Every paper that is subject to peer-review will be evaluated based on at least two reports from independent referees. The assigned editor must make a reasonable effort to find willing referees within two weeks of submission, or pass on the submission to another editor. In case one or more of the reports turn out to be of too low quality, the editor shall contact additional referees until at least two reports of reasonably high quality are obtained so that an informed decision can be made. If, in exceptional cases, two referees cannot be found, the editor should communicate this to the authors in a timely manner, and may choose whether to make a decision with only one report or reject the submission due to lack of interest from the community. Editors may take into account publicly available information about submitted manuscripts in their editorial decisions, so long as they communicate this transparently to the authors. This includes open reviews published in blogs and similar platforms. If the authors agree, such an open review can fully replace a standard confidential review in the peer review process. Upon decision, authors and referees receive a notification letter from the editor, enclosing the editorial decision and all referee reports. Short justifications summarising the referee reports are appreciated in the notification letter. Only the editor knows the identity of the referees, and the reports are to be considered confidential. The editor decides when further correspondence would only be incremental and a final decision is made. Please see the description provided on the appeals page. Editors are encouraged to contact the executive board if they find issues in the review process that could be helped by a change in the editorial policies. The executive board will discuss the proposal, confer with the remaining editors, and finally submit a suggested change to approval of the steering board. The editorial policies will be reviewed by the steering board after the first year of operation, and then every two years. Prior to each regular revision, the executive board will ask the editorial board for feedback, and take it as a basis to formulate proposed changes. Quantum will regularly review its policies concerning open reviews. It is the aim of Quantum to initiate a community-wide discussion of alternative forms of peer review. In any case, open review will never be applied retroactively and there should always be an option for anonymous and confidential closed review.